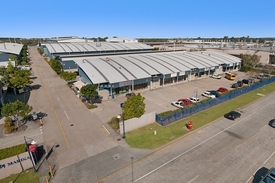 15 Commercial Real Estate & Properties in Coomera are listed in 4 categories. We have 10 Development LandsSale , 3 Hotels and LeisureSale , 1 Industrial Warehouses Sale and 1 Other Commercial PropertiesSale . Positioned in the Brisbane Gold Coast growth corridor, 2km to Coomera Town Centre and Railway Station Development Permit MCU Apartments (167 Dwelling Units) Development Permit OPW Vegetation Clearing and Change to Ground Level Potential for alternate uses including townhouses and aged care / retirement (^STCA) Located opposite the entry to Stockland's Foreshore Coomera residential estate, Coomera East Shopping Centre (Woolworths) and Foxwell Magic Child Care Centre Westfield Coomera Overview: https://youtu.be/AfoyuNHioIU Offers to Purchase Mark Creevey 0408 992 222 Tony Williams 0411 822 544 approximately ^Subject to Council Approval This property is being sold by Offers to Purchase therefore a price guide cannot be provided. The website may have filtered the property into a price bracket for website functionality purposes. 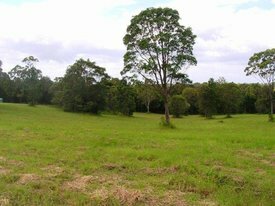 This site is part of the approved Coomera Village Master Plan. So this site is set to boom around you. Be part of the hottest development area in Australia. Zoned: High Density Residential This site features: 2.84 hectare development site (28,410m2) 2 minute drive to the M1 Motorway (30 minutes North to Brisbane, or 30 minutes South to the Gold Coast) Approved master plan for 6 9 nine storeys and 420 apartments (plans available) Walking distance to the upcoming Coomera City Centre Westfield Shopping Centre Walking distance to the bus stop and the Coomera train station Walking distance to two new schools and two new kindergartens Residential density 40 to 150 dwellings per net hectare Land use: small cottage and shed on existing site approx Master Plan details available to qualified buyers. Please contact the listing agent for details. Disclaimer: Ray White has not independently checked any of the information we merely pass on. We make no comment on and give no warranty as to the accuracy of the information contained in this document which does not constitute all or any part of any offer or contract by the recipient. Prospective purchasers / lessees must rely on their own enquiries and should satisfy themselves as to the truth or accuracy of all information given by their own inspections, searches, inquiries, advices or as is otherwise necessary. No duty of care is assumed by Orchid Avenue Realty trading as Ray White Surfers Paradise Commercial divisions toward the recipient with regard to the use of this information and all information given is given without responsibility. Land area: 32,480m2 Zoned medium density residential Commercial / residential development opportunities (STCA) Close to all amenities including neighbouring $470 million Westfield Coomera Town Centre, schools, childcare restaurants 100m of frontage Approx Disclaimer: Ray White has not independently checked any of the information we merely pass on. We make no comment on and give no warranty as to the accuracy of the information contained in this document which does not constitute all or any part of any offer or contract by the recipient. Prospective purchasers / lessees must rely on their own enquiries and should satisfy themselves as to the truth or accuracy of all information given by their own inspections, searches, inquiries, advices or as is otherwise necessary. No duty of care is assumed by Orchid Avenue Realty trading as Ray White Surfers Paradise Commercial divisions toward the recipient with regard to the use of this information and all information given is given without responsibility. Land Area 5.62 hectares Medium Density Residential Zoning 228 metre frontage Adjoining proposed Marine Precinct Proposed Terrace / Townhouse and Unit development May suit additional commercial uses Owners have instructed to present all offers Approx Disclaimer: Ray White has not independently checked any of the information we merely pass on. We make no comment on and give no warranty as to the accuracy of the information contained in this document which does not constitute all or any part of any offer or contract by the recipient. Prospective purchasers / lessees must rely on their own enquiries and should satisfy themselves as to the truth or accuracy of all information given by their own inspections, searches, inquiries, advices or as is otherwise necessary. No duty of care is assumed by Orchid Avenue Realty trading as Ray White Surfers Paradise Commercial divisions toward the recipient with regard to the use of this information and all information given is given without responsibility. Retail Mixed Use Residential Development Neighbourhood High Density Residential Height Limit 6 Levels Potential for Staged Development of 427 units Neighbouring Westfield Coomera Town Centre Land Area 28,410m2 5 minutes to M1 motorway Next to Coomera Rail Approx Disclaimer: Ray White has not independently checked any of the information we merely pass on. We make no comment on and give no warranty as to the accuracy of the information contained in this document which does not constitute all or any part of any offer or contract by the recipient. Prospective purchasers / lessees must rely on their own enquiries and should satisfy themselves as to the truth or accuracy of all information given by their own inspections, searches, inquiries, advices or as is otherwise necessary. No duty of care is assumed by Orchid Avenue Realty trading as Ray White Surfers Paradise Commercial divisions toward the recipient with regard to the use of this information and all information given is given without responsibility. DA just out of council 18 detached dwellings including duplexes Proposed townhouses as well Possibility for 4 storey Close to the new Coomera Town Centre Close to the M1 Fantastic location won't last approx Please contact the listing agent for more details by clicking on the link above. Disclaimer: Ray White has not independently checked any of the information we merely pass on. We make no comment on and give no warranty as to the accuracy of the information contained in this document which does not constitute all or any part of any offer or contract by the recipient. Prospective purchasers / lessees must rely on their own enquiries and should satisfy themselves as to the truth or accuracy of all information given by their own inspections, searches, inquiries, advices or as is otherwise necessary. No duty of care is assumed by Orchid Avenue Realty trading as Ray White Surfers Paradise Commercial divisions toward the recipient with regard to the use of this information and all information given is given without responsibility. 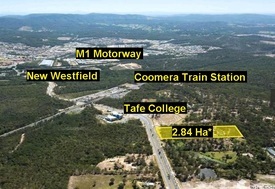 Industrial Development Site • Large 22,400m² site • Within Coomera LAP “low impact industry” and “rural living open space” • Proposed uses from warehouse, storage to rural residential development • All town services available • Located within the residential and commercial locality of Upper Coomera • Eastern boundary boarders M1 Pacific Highway • Previous development approval lapsed with $100,000 council credits paid Motivated interstate vendor wants offers.